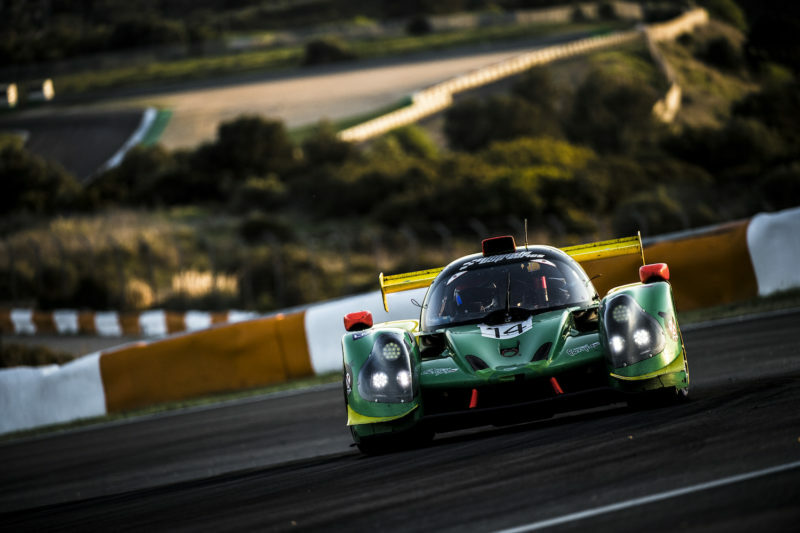 On the track of Estoril, Portugal, with sunny weather and temperatures around 21C degrees, the first race of the Ultimate Cup Series with 14 LMP3 took place. Paul Scheuschner started in the #14 Inter Europol Competition LMP3 from 10thplace on the grid. Next in the car was Edward Jonasson who moved to first. Simon Phillips took the last stint and brought the car home in third place. Halfway the race, just before Scheuscher was at the end of his stint, he was in fourth position. Jonasson took over for his very first stint ever in the LMP3. When Jonasson took the wheel, the car was in 7thposition. At the end of his stint, he was leading the race. After the pit stop and refuelling, Phillips dropped to fifth but moved back up to fourth. With a full course yellow in the last five minutes, Phillips passed the finish line in third position.